The leather handbags I am featuring are made and hand painted at a family owned business. They are one of a kind, and are painted by artisans making each of them unique. These nature inspired handbags by Anuschka are beautiful with colorful backgrounds, flowers, butterflies, birds along with a variety of designs. There are many colors, styles, sizes and shapes to choose from. With the quality workmanship involved, they can be pricey but you can find that there are sales at merchants like eBags, where these and more styles are available. I have the banner to the right on my sidebar to check out more selections and the convenience to shop. The pink saddle bag above with butterflies has a flap over opening and a snap closure. It’s a smaller size with a removable strap. It can be worn as a hands-free crossbody style. Along with these handbags are accessories available to match including wallets, belts, eyeglass cases key chains, umbrellas and shoes. The products are high quality, and made from premium cowhides. The blue crossbody bag below has colorful feathers and is a medium size tote. It has a magnetic to closure with several pockets inside and out. The artwork along with each bag detail is custom, including the hardware. The paint gets absorbed into the leather and gets softer with use. To protect the hand painted leather, Anuschka has their own leather protector. It helps to preserve the rich hand painted colors from pollution and dirt. It can also be used on all leather except for vinyl and patent. You can find it on their website I have listed below. The grey purse has butterflies and floral decor among many other features. Nothing is mass-produced, and each artisan who creates them does it with pride. There are over one hundred skilled artisans creating these, and they are in over two dozen countries. With hundreds of these nature inspired decorated bags to choose from, there is a style for everyone young and old. Visit the Anuschka website​ to read more and to see pictures of how they are painted. You will find lots of interesting information about this unique workshop, that has been around for over twenty-five years. The blue double strap hobo bag has a flower with other decorations. It has a zippered closure, two outside compartments and rear zippered and cell pockets. I have an interesing article I wrote Embellished Handbags​ where you can either buy dressed up or down decorated bags and have the choice to embellish one of your own, giving it a new look! Click on Women’s Purses and Handbags for more information about them, to read and shop for men’s click on Men’s Bags and Accessories. The option to shop for both are at the bottom of the two pages, and to the right on my sidebar where I have several merchants listed. Hello my name is Patsy and I'm the founder of Your Purse Source. I started with women's bags and then added men's. I write helpful, quality articles assisting and directing you to an excellent on line shopping experience for both women and men's bags. Oh wow, It’s a really creative handbags. I am really impressed from this handbags. Nature handbags very uniqueness handbags. Thanks for sharing this so interesting post! I really want to be thankful for the way you have put it here. Hi Grady, you are welcome. I agree, these handbags are creative and unique, all hand-made and painted. Wow, those bags are so nice! They look very fresh and calming. I just love purses! This collection is perfect for this summer! The bags do look fresh with those light and bright colors. Summer sure is the season for those beauties. Thanks for stopping by and leaving your comment! I agree, these bags do have a calm and relaxing vibe with the soft colors and nature themes. It is a unique topic seeing how they are all hand-painted and no two are the same. They are a collector’s piece. Thanks for reading another one of my articles, I hope your wife will love the one you choose for her! I agree, they are all beautiful and perfect for the summer. As I mentioned there are many more available through eBags where they have sales, or through Anuschka’s website that I left in my article. I hope you get to choose a nice one that also suits your needs. Thanks for stopping by! Modern Bags Just for Men! We carry the coolest manbags on the planet! BAGINC Has Something For Everyone! Save Up To 70-90% OFF! Join to buy for yourself or in bulk and open your own business. Handbags, shoes, clothes and more. Click Here! Handbags Steals Up to 65% Off! 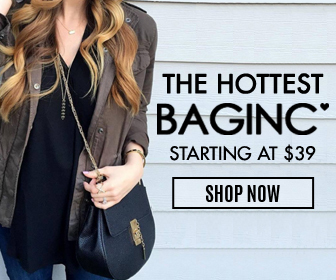 Awesome Deals on Fantastic Clothing Brands from eBags! Shop The Best of The Best in Travel Accessories at eBags.com! Buy for yourself or your business. Handbags, clothing, shoes and more! Best Choice For Your Website! I have mine hosted here. 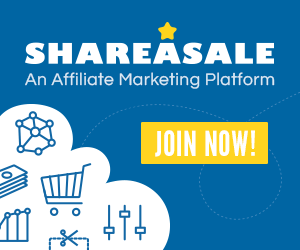 I am disclosing that I will earn an affiliate commission for any purchases you make. I have not been given any free products or services for mentioning any products on this site. It is my intention to explain products so you can make an informed decision on which ones suit your needs best. Thanks for your support! I do not give permission for any use of my website, content, images, my name, my brand, my Logo including any altering of the above mentioned. My copyright is on the footer at the end of my website. Plagiarism is against the law. Copyright © 2019 Your Purse Source. All rights reserved.